When I first stumbled upon the ‘RU Scandalous?’ blog, I had a number of doubts as to whether or not this blog was even going to be worth reading, but I was otherwise pleasantly surprised. I have to admit that in the early stages of our blogging expedition this term, I found myself becoming rather critical of my fellow Journalism students’ blogs. However, the writers of RU Scandalous can be proud to know that they have produced a rather impressive blog with very few faults. 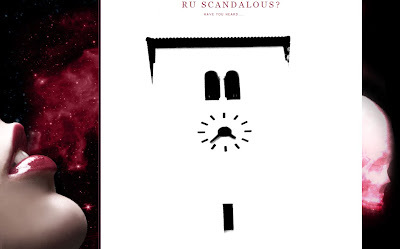 With a name like ‘RU Scandalous?’ I immediately assumed the worst. I expected to find a tacky presentation and the absolute bare minimum of content (our set assignments), but I was proved wrong almost immediately. I first found their layout and design most attractive, it is clear that the creators have put effort into this project. The template they have used is graphically interesting and certainly sets them apart from other blogs, and then to be greeted by a large image of the Rhodes clock tower, which I thought was most appropriate. After browsing through their various posts I was struck by the clarity and skill found in their writing. It is obvious that they have closely followed their plan to be opinionated yet relevant and concise about their work. However, I do think that they could have nurtured their blog a little more as it lacks depth in areas such as reflection on being a Journalism student at Rhodes University. But all in all their blog is certainly worth recognition!